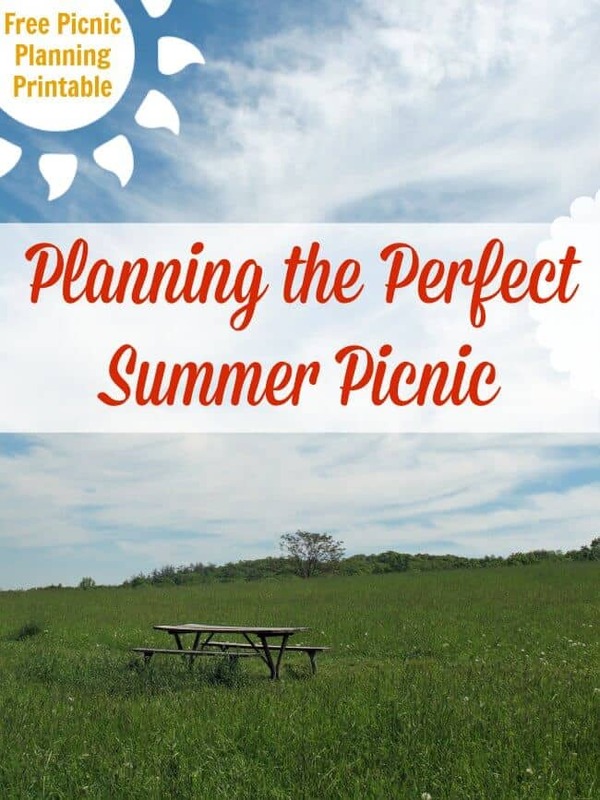 Planning the Perfect Summer Picnic plus FREE Printable! Planning the Perfect Summer Picnic PLUS Free Printable Checklist! Today I’m excited to welcome another guest poster for you all! Kristi with Moms Confession. 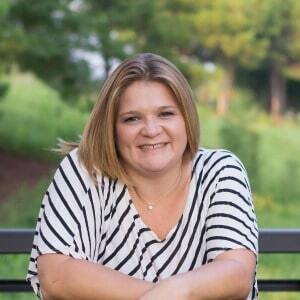 I met Kristi at a local Houston Bloggers group a couple of years ago and she is lots of fun! 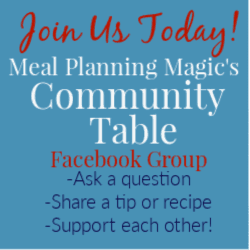 She blogs about all things lifestyle related: recipes, home care tips, insights on family and more. She’s also super organized! So today, I’m happy to have her guest posting about Planning the Perfect Summer Picnic (or picnic anytime). I know I’m picnic challenged in that I always seem to forget something at home when we go on a picnic. I can’t wait to try out some of her ideas and I know I’ll be printing out her FREE checklist to help me get started. Welcome, Kristi! Planning the Perfect Summer Picnic is easier that it might seem. These simple tips and FREE printable will help you enjoy your time with family and friends! Summer is fast approaching and picnic ideas are popping up all over the Internet. They all look so fancy and well put together, and many people wonder if they could actually accomplish pulling off such a picnic. It’s really not that hard once you know how and planning the perfect summer picnic. It can be fun for you and your family! Who will be attending the picnic with you? This makes all the difference in what you bring, where you have it, and what foods you take along. A family picnic with small kids may include toys and finger foods, while a romantic night time picnic with your spouse could include candles and wine. Decide what type of picnic you want before you start making any other plans. Will this be a backyard picnic or a park picnic? This is important to know because you will need to make a packing list and you will want to know how you’re going to transport everything you plan to bring. What type of food will you bring along? If it will take some effort to get to the picnic site, bring along light foods that don’t need much refrigeration. If you’re driving, you can pack a cooler. If it is at home, you can leave food where it is until time for the picnic to occur. Be sure to bring enough for each person, as many people tend to pack light for a picnic. This is a meal, not a snack! And pack as many non-perishable food items as possible. How will you pack it all? Be sure you know how to pack everything you intend on bringing so that it fits nicely and you can find everything, but also make sure that you pack the food properly so that it stays cold and doesn’t get squished. Aside from knowing how to pack things, you will need to know what to pack. • Napkins (cloth is best and really makes the picnic look fancy) and a picnic blanket. • Plates, glasses, cutlery and serving utensils. These can all be plastic if you want an easy cleanup, but go with the higher-end versions and not Styrofoam and paper. • Ice, bottle openers, and ice packs for the cooler. • Small cutting board and knife- this is a must if you don’t have food pre-cut! • Garbage bags and cleaning rags- clean up after yourself! • Sunscreen and bug spray to keep critters away and not get burned. • Baby wipes, because sometimes napkins don’t get everything. • Pillows to make the space look and feel comfy. • Candles, even if during the day, to help bring some coziness to the setting. • Music, for extra ambiance. 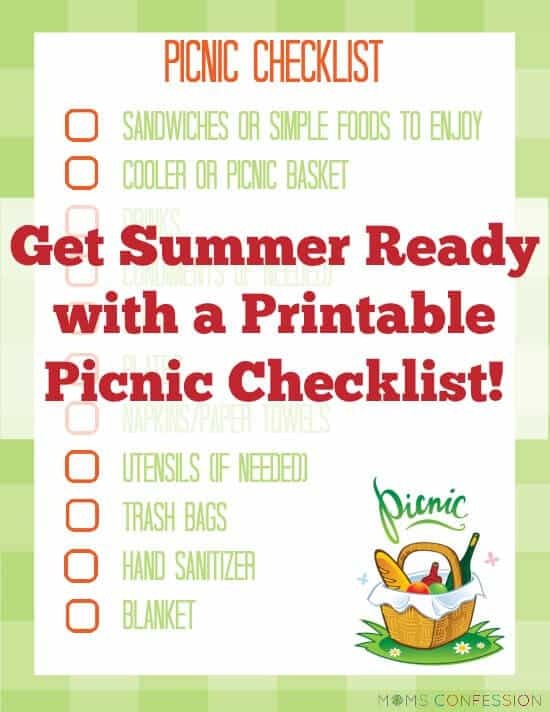 Enjoy this free printable picnic checklist so you don’t forget anything! After you have finished your picnic, remember to clean up everything after yourself. Nothing ruins a good picnicking place like litter and leftover food lying around. Repack any food you wish to save and toss out garbage where it needs to go. Kristi is a go with the flow mom of 2 preteen boys that’s a little creative, organized enough and gets dinner on the table in a hurry. She divulges her favorite household tips and fires up the stove to share fabulous family recipes on her blog, Moms Confession. Strike up a conversation on any of her social media platforms…she loves to make new friends online!